The LifeStraw® Mission is a portable combination with an anti-virus technology. Very handy for camping or while hiking or expedieties with a group. 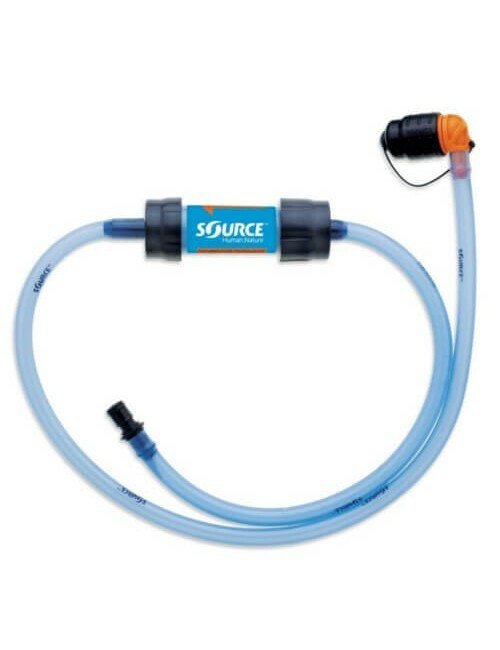 It allows you to enjoy clean and safe drinking water! As the bag fills with water, hang, and let gravity but to do his work. For each LifeStraw® which is sold is there a child in Africa for an entire school year with safe water!